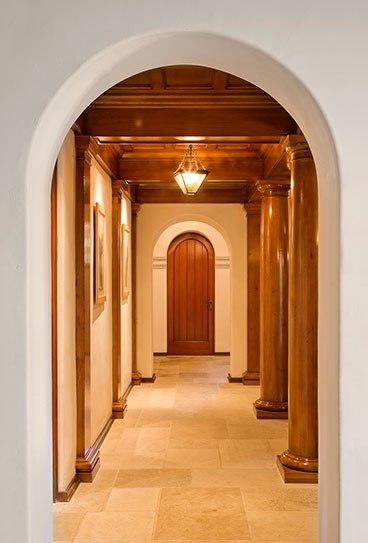 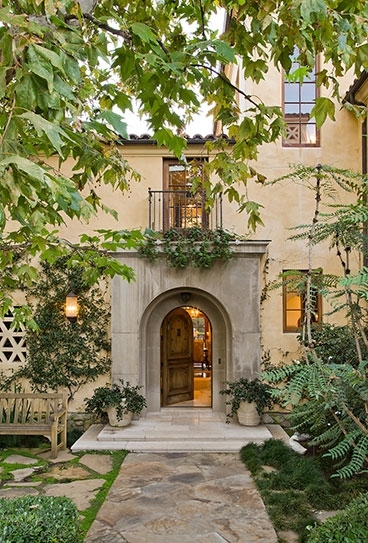 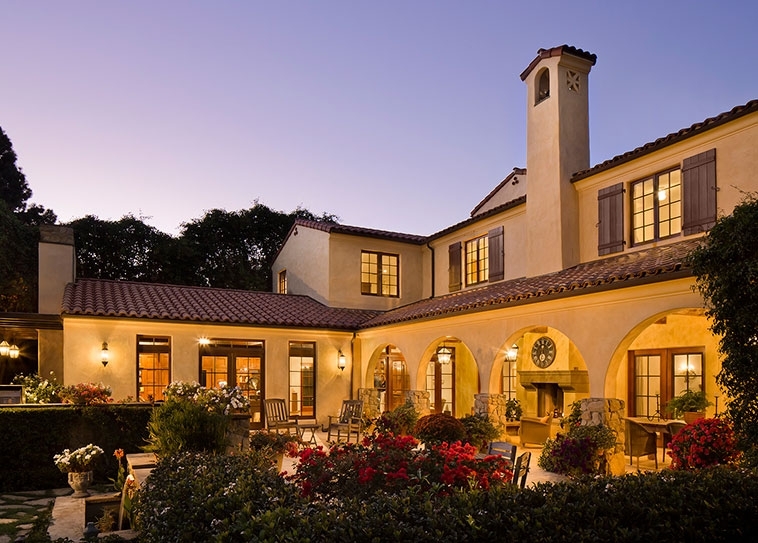 A thorough immersion into the lifestyle of our clients, and a careful study of locale and site resulted in a residence thoughtfully connected to the rich tradition of the California Spanish Colonial Revival. 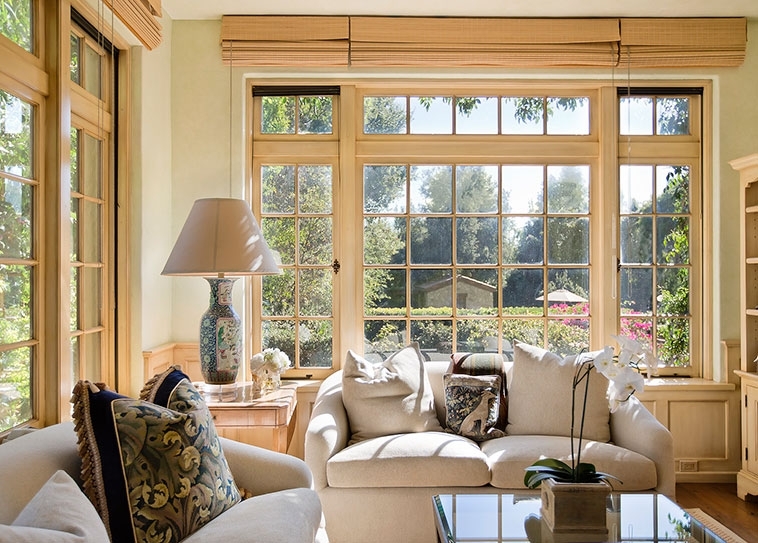 Articulately speaking the language of that great tradition is paramount for a project such as this one, and every effort was made to carefully connect this residence to the design lineage that can be traced back to Montecito of the 1920's. 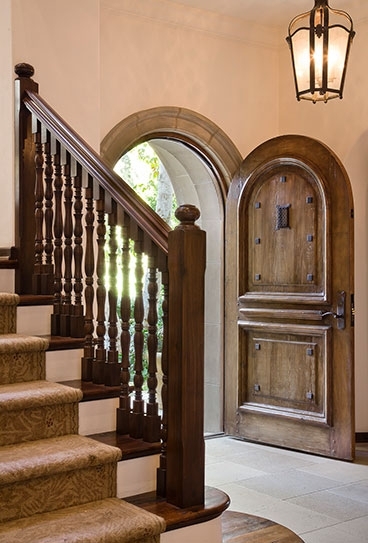 Saying a person looks old rarely qualifies as a complement, but for a new house in an established neighborhood, those are welcome words. 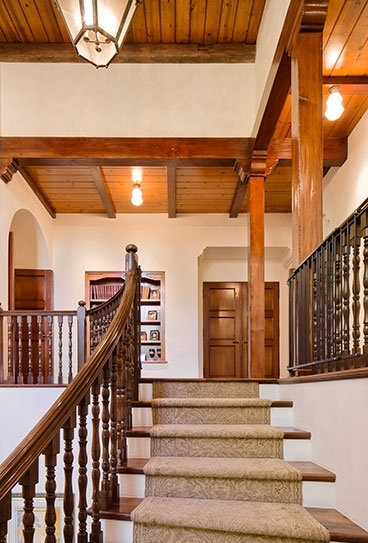 The authentic look of the house begins with the way it comfortably nestles into the property, preserving as much of the existing established landscape as possible. 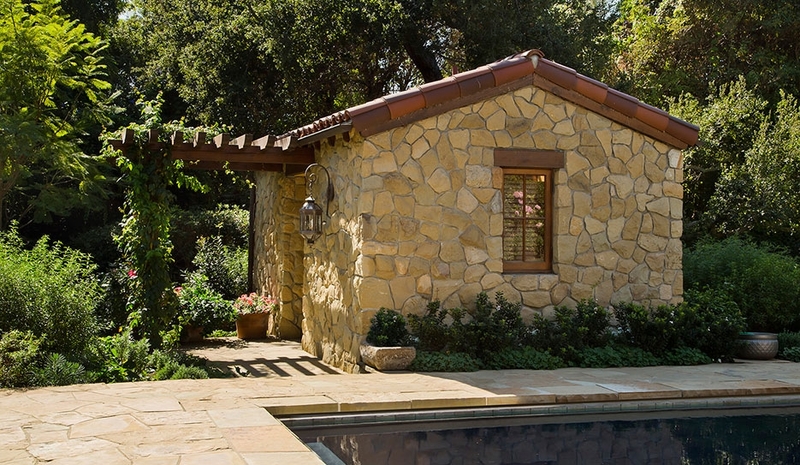 A pier foundation allows the house to cozy up beneath existing eucalyptus trees, suggesting it was there first. 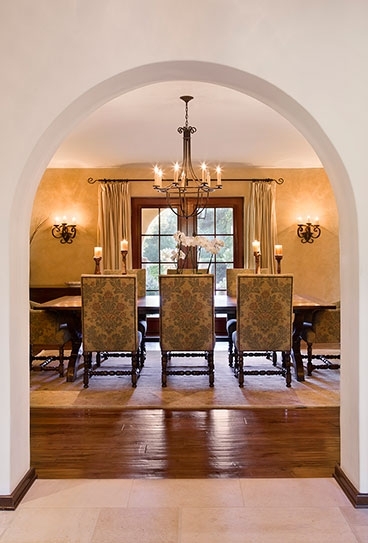 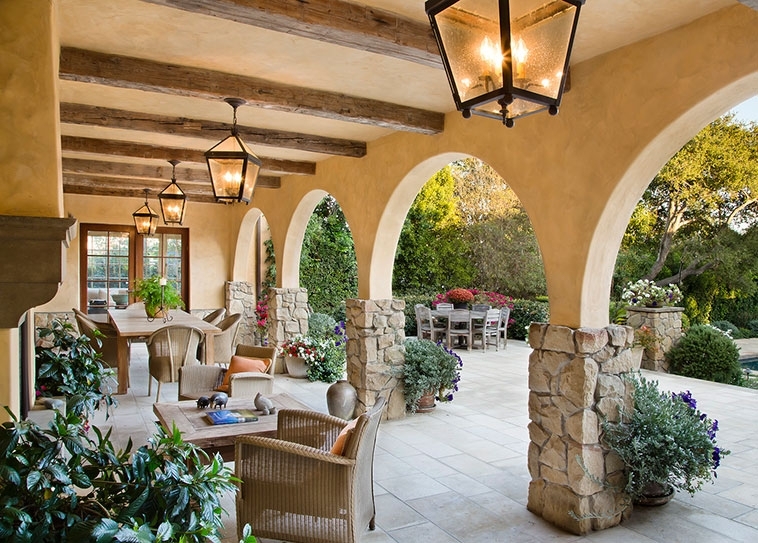 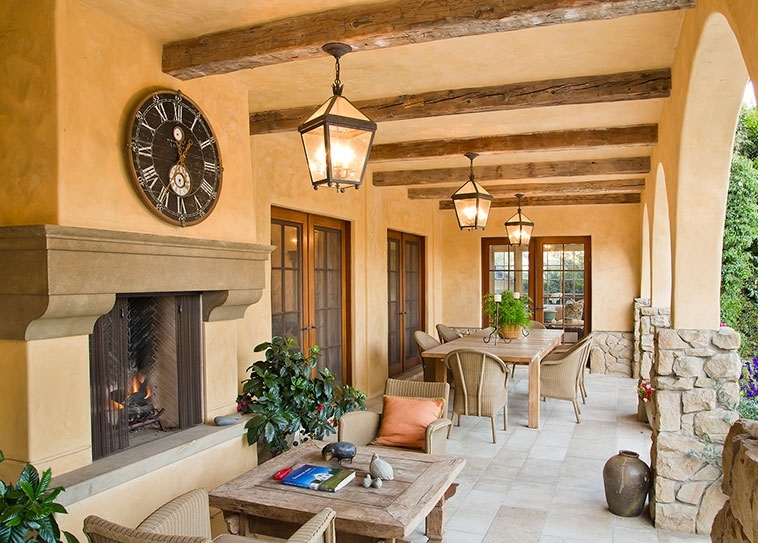 A warm, inviting and authentic palette of ochre hand-troweled plaster, Santa Barbara sandstone rubble masonry, terra-cotta barrel tile roof, and richly stained wood windows and doors define the language and provide an inviting background for gracious living in and out-of-doors.